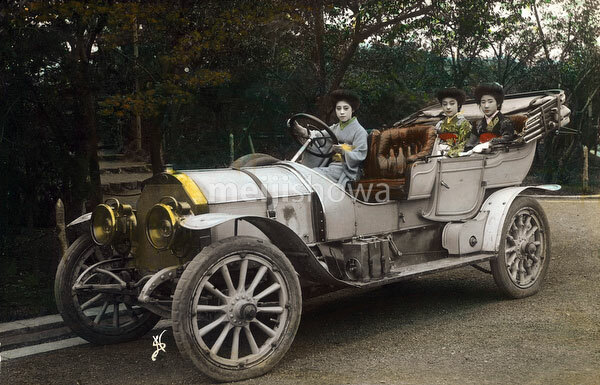 Three women in kimono and traditional hairstyles are sitting in an imported FIAT 60hp touring car produced between 1905 and 1907. Cars were slow to conquer Japan because Japanese roads were not ready for large wheeled traffic. In 1911 (Meiji 44), even in Tokyo there were only about 100 cars, although the city at that time counted over 2 million inhabitants.